Doug is our new garden coordinator. 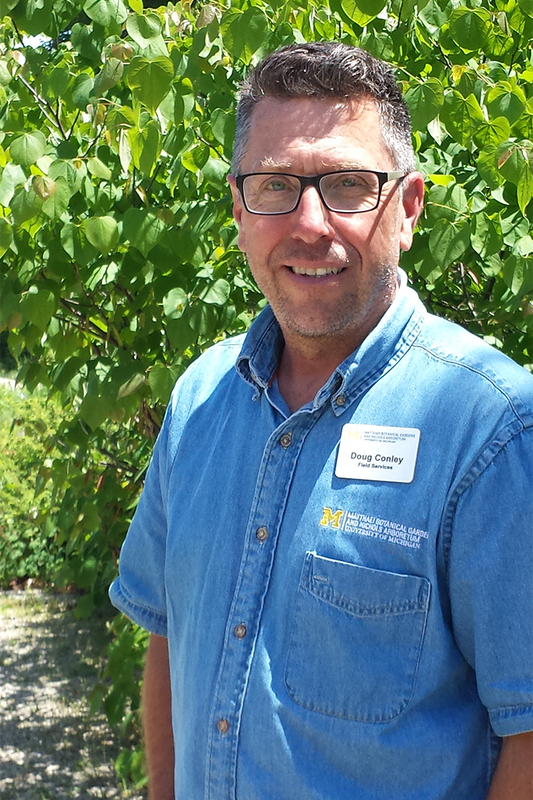 He comes to us from the Toledo Botanical Gardens and Toledo Metroparks where he was their horticulture director and horticulture services supervisor. He has a master’s degree in public horticulture from the prestigious Longwood grad program and has been director of landscapes at Southern Illinois University and the Edsel and Eleanor Ford House.